TOEFL Listening gives you a good cross-section of academic speech, with class lectures and conversations about life and business on campus. 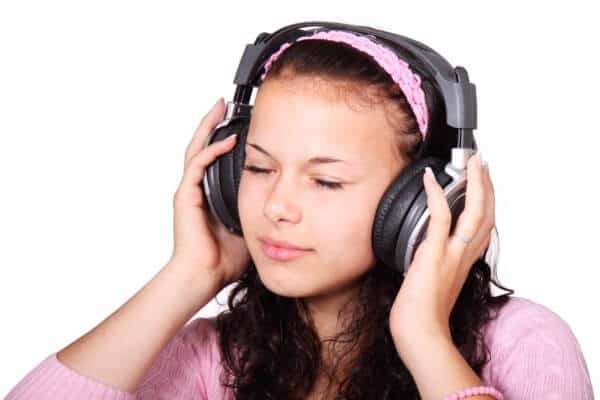 In this post, we’ll look at ways you can really develop your academic listening skills for the TOEFL and get a good score on this section. In TOEFL Listening, note-taking is what we would call a “double-edged sword” in English. By this , I mean that taking notes on the TOEFL can either help you or hurt you, depending on your approach. It’s important to take the right amount of notes, and this amount of notes is small. You want to write down phrases that represent the basic ideas in a conversation or lecture. Don’t try to write down all the details. And definitely don’t try to write the exact words the speakers use! If you take this detailed, “heavy” approach to note-taking, you’ll be so busy copying every word and idea that you won’t have time to focus on the true meaning of what’s being said. TOEFL Listening conversations always involve just two speakers: a male speaker and a female speaker. This is done by design — the TOEFL wants you to hear a clear difference between the two speakers and treat their ideas as separate. Each speaker plays a different role in the conversation. You’ll be asked specifically about the ideas, feelings, or intentions of the individual speakers in the conversation. So for note-taking on TOEFL Listening conversations, indicate which things are said by the man, and which are said by the woman. In TOEFL class lectures, the professor puts forth academic information in a way that’s similar to a TOEFL Reading passage. There are main ideas, organized into paragraphs, with supporting details. As you listen to the lecture and take notes, imagine you are outlining a passage. Listen for topic sentences, supporting ideas, transitions, and other “markers” that you would also see in an academic text. In other words, think of the exercise as “reading” a TOEFL lecture. Some classroom talks in the TOEFL Listening section are really discussions between a professor and some students. These talks will still be similar to a reading passage in some ways because the professor’s speech takes up the majority of the audio track. But the professor will also have direct interactions with students. And these interactions are conversation-like. In TOEFL Listening discussions, each speaker plays a different role and offers different kinds of information. Once you get to the questions, be ready to identify specific ideas related to the words of individual speakers in the discussion.